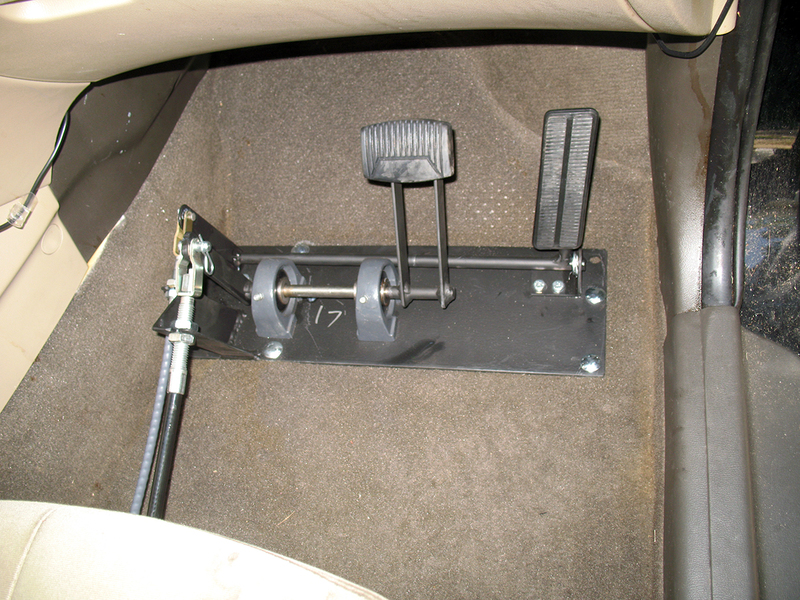 The PEDAL PROS brake and accelerator system is compact and designed to have minimal impact to your vehicle's interior. 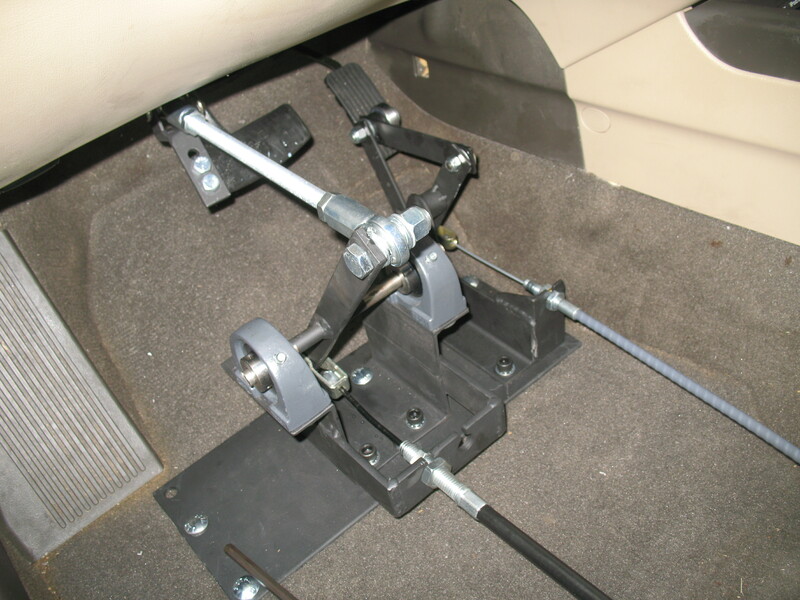 Our pedal system installs inside your vehicle, keeping it protected from weather. 15/32" or 1/2" Drill Bit: Holes in floorboard for kit mounting. 13/32" or 3/8" Drill Bit: Brake pedal bracket mounting. 1/8" HEX: Set screws in bearings (locking ring). This 13 minute video is a general overview of the pedal kit installation process. Every installation is unique, but this video will cover the basics and answer most questions. 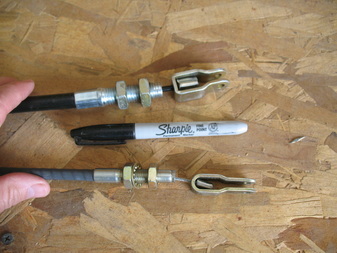 When it comes time to get back to work, re-attaching the linkeage only takes a few minutes. 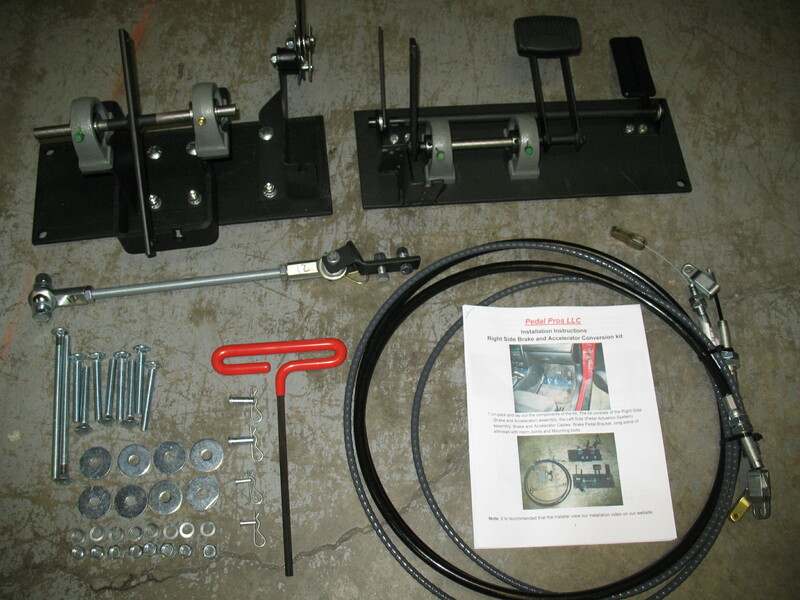 Our kits are customized to fit your vehicle, so we'll need a measurement to complete your order! 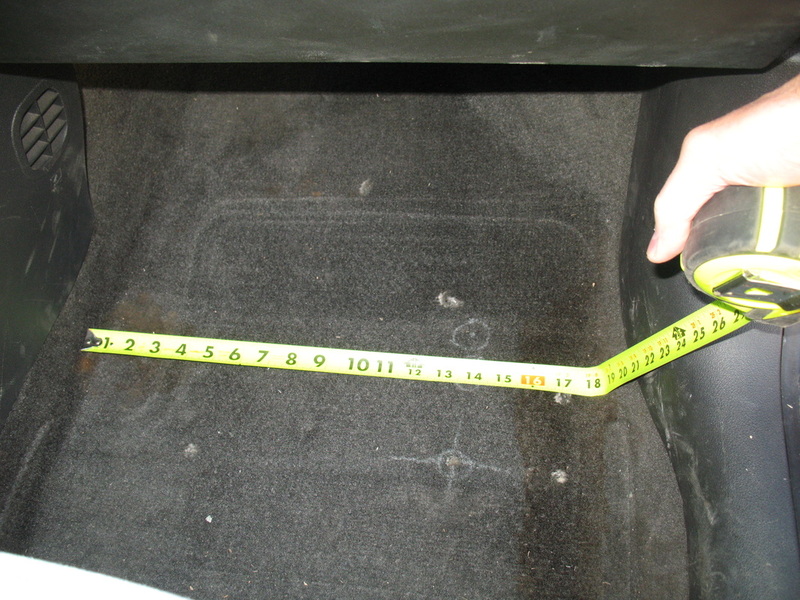 Please measure the flat floor space under the glove box area as shown in this example. We ship pedal kits via USPS Priority Mail. We offer conversion services at our location in Charleston, TN.